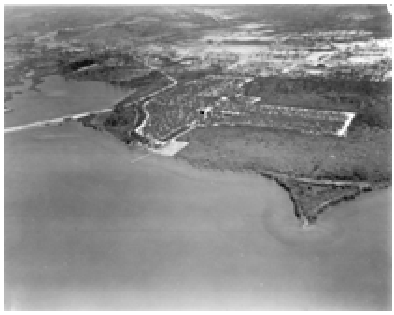 When the Brotherhood of Locomotive Engineers (BLE) purchased the land for Venice in 1925, about 90 acres of desirable terrain (later known as Stone Grove) on the north shore along Roberts Bay was excluded from the sale. In the 1880s, Joseph Lord had acquired the property and developed it into a citrus farm, planting many of the trees himself. Lord also built a home on the property, later occupied by his grove manager George Higel. Years later, the home became known as the Lord-Higel House and was moved to its current location on Ave. Des Parques S. in Venice and is presently in restoration for use as a pioneer museum. Following two ownership changes on the land, the grove was purchased in 1919 by an investment group headed by Charles A. Stone of Boston, the namesake for whom the grove became known. Immediately adjacent to the growing city, the property remained a citrus farm until the early 1950s when it was finally sold to a developer who platted the land as Bayshore Estates Subdivision. The original “Venice Golf & Country Club” was in a very different location than the Venice area community we know today. The Brotherhood of Locomotive Engineers (BLE), as part of the initial development of their resort city, began construction of a golf course and clubhouse in 1926 on the east side of Tamiami Trail, a few blocks from the downtown area. 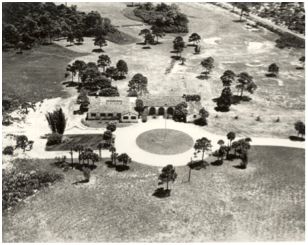 The clubhouse, designed in the Northern Italian motif by Harrison Gill, had a grand opening in January 1927 and, a month later, hosted its first golf tournament. The clubhouse was built for $165,000 ($1.7 million today). It had two dining rooms, a commercial kitchen, a reception room, locker rooms, a cocktail lounge, and a covered patio. The facility exuded luxury and comfort, with Tiffany chandeliers and a large ornate fireplace for the cooler months. Although used minimally during the Depression, the clubhouse was revitalized during World War II when the military at the local airbase leased it for an officers' club. In the 1970s, the property was sold for development, and the clubhouse was torn down for construction of the Venice Shopping Center. 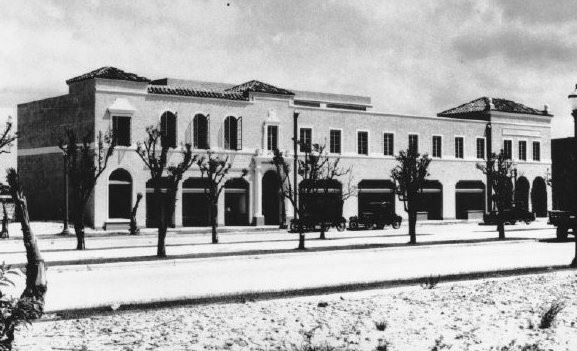 The original “Venice Theatre” opened in 1927 as part of a commercial building designed by Harrison Gill, the first architect to establish a local practice in Venice. The building complex was located on the north side of West Venice Avenue on property now occupied by Bank of America and the Pinkerton Building. The theatre opened in July with a dedication program, including appearances by local dignitaries, a musical program, and a full-screen Lionel Barrymore film. The following evening, the theatre showed the silent feature film It, starring Clara Bow, who became a major star in the late '20s, widely attributed to this film. The theatre was designed for an initial capacity of 800, with options for expansion. It offered 40-foot ceilings with four large chandeliers, and as described in the press, "oversized comfortable leather-bound seats arranged so that each had an excellent view of the screen.” The theatre used two Motiograph De Luxe Projectors, considered state-of-the-art for clear, large-screen viewing. Admission for adults was thirty-five cents, and fifteen cents for kids. When the local economy began to fail in 1928, the theatre went seasonal and closed for periods of time. It was later sold, renovated, and reopened as the Gulf Theatre in 1937. During World War II, the USO ran bingo games in the upstairs room. It was also used as a chapel by Kentucky Millitary Institute (KMI) cadets and the local Catholic Church. By the 1960s, it was showing its age and was finally demolished in 1971 in preparation for new construction. 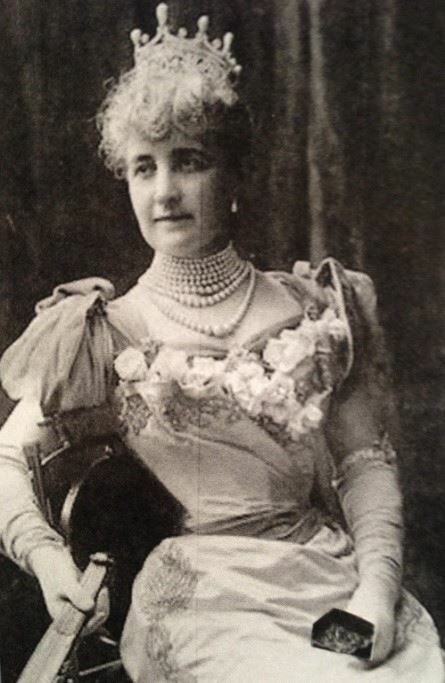 The wealthy Chicago businesswoman Bertha Palmer, whose savvy investments opened up South Sarasota County in the early 1900s, was also the creator of a food item later called the "brownie.” It started in 1893 when she was the Chair of the Women's Pavilion at the Chicago World's Columbian Exposition. Desiring something special for the ladies' box lunches served at the Pavilion, she requested her pastry chef to prepare a simple dessert that was easier to eat than a piece of pie and smaller than a layer cake. The result was the Palmer House Brownie recipe that had double the amount of chocolate we use today, with the addition of walnuts and an apricot glaze. The original preparation is still served at the Palmer House Hotel in Chicago. The name for this dessert was not commonly known as a "brownie" until some years Thank you, Bertha! later when the recipe started showing up in cookbooks. 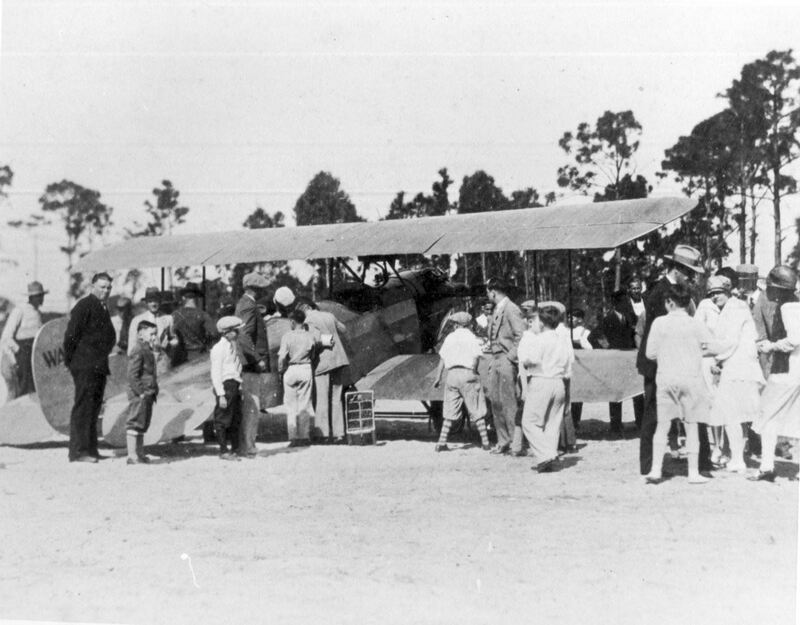 The Venice Municipal Airport offered, for a brief period, commercial airline service to people in the Venice area. 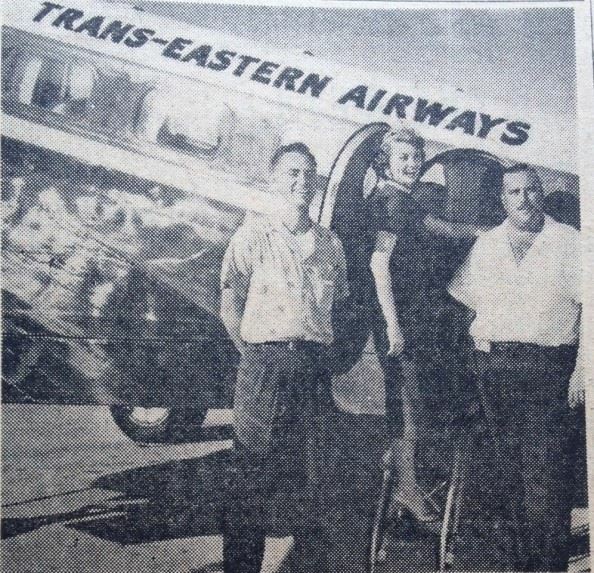 In 1956, a small airline called Trans-Eastern Airways, Inc., based out of what is now the St. Pete/Clearwater International Airport, provided two flights a day from Venice to other small airfields in parts of Florida and a few major airports, such as Tampa International. Service commenced on December 8, 1956, with local reservations handled by the Venice Municipal Airport manager. However, the service was terminated by the carrier less than two months later on January 31, 1957, due to insufficient business to justify its Venice operation. The airline was basically a commuter service and had five small, limited-capacity aircraft that supported flights into and out of Venice (once in the morning and again in the afternoon). Based on very limited history of this airline, it apparently ceased operations completely within a few months of its inception. Today, the airline is not even listed in an extensive online table of "Defunct U.S. Airlines," and staff members currently affiliated with the St. Pete/Clearwater International Airport never heard of it. The first plane landing in the City of Venice occurred on Sunday, January 9, 1927. That day, George W. Haldeman, a noted flight instructor and stunt pilot with experience from World War I, landed on the then-vacant grounds (now Epiphany Cathedral property) in front of the Hotel Venice. At the request of hotel manager Charles P. Kane, and to the delight of the hotel guests, Haldeman flew in cases of fresh strawberries from his home airfield in Lakeland, just up the road from the fields of Plant City. Shortly thereafter, Haldeman took off from the then recently-paved Nassau Street to return to Lakeland. A few months later, Haldeman would gain worldwide recognition as the copilot of a plane piloted by one of his former flight students, a fledgling young actress named Ruth Elder. They were attempting to perform a trans-Atlantic flight similar to that of the renowned aviator Charles A. Lindbergh, who in May of that year had accomplished the journey flying solo. The Elder/Haldeman flight in October 1927 was aborted about 900 miles northeast of the Azores, over the eastern Atlantic Ocean, when the plane developed an oil leak. They were both quickly rescued by a nearby freighter after Haldeman made a skilled landing on the water's surface, but the adventure ended a thousand miles short of their intended destination at Le Bourget Field in Paris. They survived, but their plane did not, sinking into the depths of the Atlantic before it could be retrieved. The Crow's Nest Marina, adjacent to the South Jetty, was built in 1927 as a boat dock and fishing pier by the Brotherhood of Locomotive Engineers (BLE). It was intended for recreational use by new residents and visitors in the emerging City of Venice. With the financial collapse of the BLE city project in 1928, the demise of the Florida real estate boom of the 1920s, and the onset of the Great Depression in 1929, the marina saw very little usage except as a small local fishing operation. "sail-jers," reflecting their skills as both "sailors" and "soldiers." Ready to respond around the clock, the Venice-based crewmen faithfully rushed to the rescue using one or more of their five vessels as needed. The boats ranged from an 83-foot former sub-chaser to an airboat useful in marsh areas. Crow's Nest restaurant or just enjoy a visit to beautiful Venice. The military's role in Venice did not end with the conclusion of World War II. In 1959, the city signed a two-year lease with Chance-Vought Aircraft Co. that permitted the company to construct and operate a guided missile launch facility on a section of what is now Brohard Beach. The launch site (built in the area that later became Maxine Barrett Park) was part of an Air Force air defense training mission during the Cold War. The contractor conducted six launches in the first six months, with periodic launches over the next fifteen months. The program used the company's Regulus II that was originally built as a Navy sub-launched cruise missile (a project later cancelled). The jet-powered vehicles served as "target" drones for testing new air defense weapons systems. As these systems became obsolete, the target launches from Venice ceased in 1961. Henry Ford and Thomas Edison were two of America's giants in the early development and application of technology. 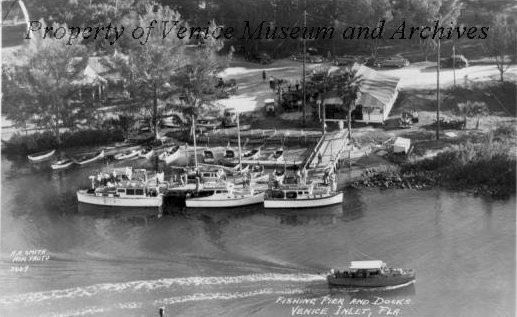 They owned adjacent winter properties in Fort Myers; and in early 1928, they stopped off in Venice to attend a meeting with senior representatives of the Brotherhood of Locomotive Engineers (BLE). The meeting was held at the Park View Hotel (current site of the Venice Post Office). After the gathering and a tour of the city, Ford and Edison headed north to Oneco, a small community just south of Bradenton, to study rubber plants. Edison had previously visited Venice several times during the city's development. On a trip to Venice in March 1927, Edison and his wife Mina were the guests of the BLE at a luncheon held at the former Hotel Venice (now Venice Center for Independent and Assisted Living). The Ringling Bros. and Barnum & Bailey Circus was NOT the first circus to establish a winter home in Venice. 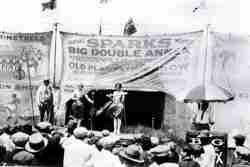 Fourteen years prior to the arrival of Ringling Bros., the Sparks Circus negotiated a lease with the city for a winter home. Signed in November 1946, the lease included use of three former military buildings at the airport, along with adjacent open grounds where Ringling Bros. would later build its circus arena campus in the 1960s. After spending the winter at its new home, Sparks planned a farewell benefit performance in Venice before pulling out for its seasonal road shows in early 1947. As an omen of things to come, heavy rains hit the area just prior to show time, forcing a cancellation. That season, the circus encountered many problems, including legal issues over animal care and severe weather on tour, that ended its operations. The Sparks Circus was not seen by Venetians that year, as the circus folded and never returned to the city.